Red 5050 SMD LED strip. Do you like interesting interiors? 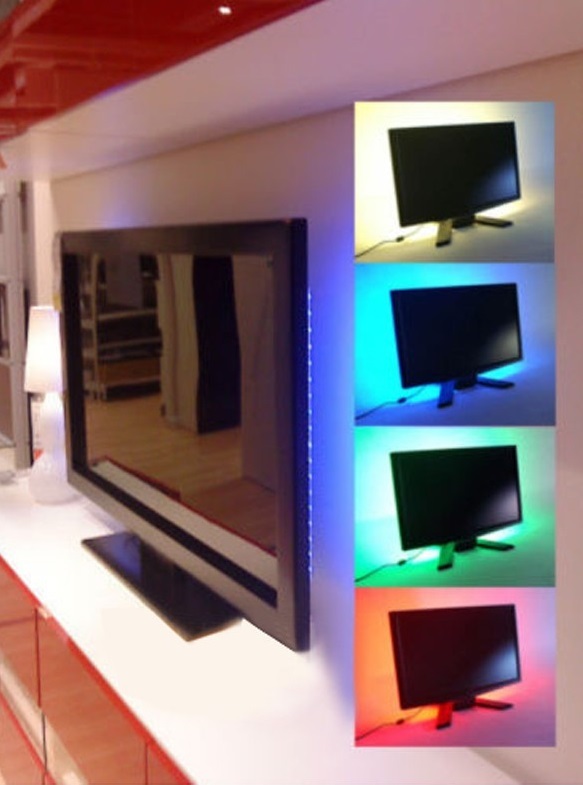 An interesting element that will catch your friends' eyes are the Led Tape mounted on the back of the TVs. Simply mount them on the housing, insert the USB plug and start the TV. It's a very simple and cheap procedure to make your interior truly original. In addition, this tape disperses light, and as a result, when you watch television, your eyes less tired. In order for SMD LED tapes to work, they must be connected to the USB port. There is a very fast way to assemble. When you start your TV, the automatically connected tape will light up. The tape can also be mounted on computers including laptops. You can also use a tape to illuminate any surface, but be sure to connect it under the USB port. The excellent source of power for such tapes are networked phone chargers. What do you get when you buy?